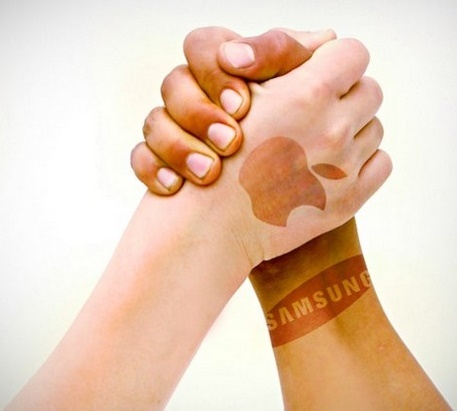 Home > News > Samsung lost to Apple in U.S. patent jury trial again! Samsung lost again to Apple in the US patent trial. According to CNET, eight members of the jury found that Samsung has violated 2 patents of Apple. But Apple may be disappointed as the amount settled is far less than what it claimed few weeks ago. Jury members ordered Samsung to pay $119.6 million to the team in Cupertino, California. This amount may be large but it’s nothing compared to $2.6 billion asked by Apple. Samsung devices violated some products from the list provided by Apple 647 “quick links” patent of Apple and some devices violated 72 “slide to unlock” patent. Apple in turn was accused of infringing Samsung’s 449 “photo and video organization” patent. Apple’s fine for this infringement is just $158,400. In 2012, in another patent war, Samsung was penalized to pay more than $1 billion. The papers of Apple was later leaked in the Internet where it was seen that Apple is aware that it was not good enough to meet consumer satisfaction.